I introduced Anything Goes on Sunday, last month. You know how that works, don’t you? Just to remind you, if you wrote a post on Sunday (16th March), you can link it here provided you leave a comment on this post. Simple! Even if Holi is not my favourite Indian festival (I explained that here), I can see why this colourful festival is so much fun for so many. 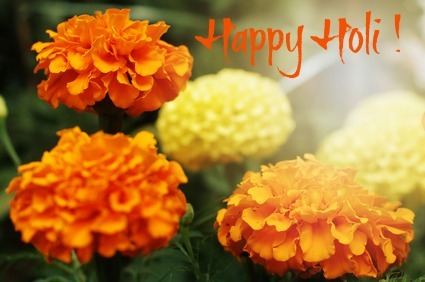 Let me wish all my Indian readers a very happy Holi. Happy St Patrick’s Day to all my Irish friends all over the world! You do know how I love all things Irish! You might like to look at some fun facts about St Patrick’s Day here. Some thoughts on blogging or the lack of it! Holi signals the end of the Indian winter and the start of summer. Vidya Sury wrote a post yesterday which will give you details of how to know when it’s summer in India – as if I needed a reminder! 😉 We’re just back from a week long break in a slightly cooler part of India – Mahabaleshwar and it wasn’t fun coming back to a much warmer and more humid Mumbai. But I’m not grumbling – it was a lovely break – the best part being that I gave myself a week off from even thinking about blogging or social media! Instead I allowed myself time to visit with this fellow – a few feet away from our hotel room balcony!
. All profits from this book will go to animal shelters. You can also follow Read For Animals on Facebook and tweet about this effort using the hash tag #readforanimals. Also, do check out Laurel Regan’s Gratitude List post – up every Monday and add your gratitude links to it. Let me end with a wonderful Irish toast on St Patrick’s Day. Sometimes if we do not take a break….we will break. So, as if you are not busy enough I find yet another one of your challenges. I was also pleased to find out you are a dog lover as well. When I was a little girl, I had a pet squirrel I fed everyday — something tranquil about it. You said to link a post we wrote on Sun, Mar 16…. I tried but a message came up that would accept it on this comment form. Sounds like you had a well deserved break! I totally agree with you. Sometimes, our blogs make us feel like Frankenstein, and we just need to take a step back and look at it with new eyes. Love what you said – that blogs aren’t us, just our creations! I shall read some of the recommended blogs. Thank You! Also, LOooooooooooVE the chipmunk. One of my fave. pets! hi corinne, thanks for this post. totally agree. my recent post happens to have the same subject matter. good to hear that you’ve had a wonderful holiday. So lovely to see you here, Betty. We seem to fallen out of touch – thank you for visiting. I just went to your post and it seems we’re on the same wavelength! Take care – you were missed. I’m glad you got to step away and recharge. I’m going to read the article you recommended. Thanks for the link! Nice to see you take a break! I guess it’s true, our blogs are not us… but I believe it definitely can communicate to a certain degree our personality… you can pick the heart of the author from what he or she writes! So nice to see you back! It is always so refreshing to unplug from the internet and social media. There is life beyond it. True….we shouldn’t be a slave to our blogs…they should work for us. A matter of working smart! Working smart is the answer, Michelle! Thanks. Hey Corinne, long hair suits you 🙂 . You have come back after a week long vacation at a hill station and it shows on your face and in your words. A relaxed and calm mind writes such lovely posts, wish I could go on a vacation too 🙂 Bookmarked the link, Read for animals, and will definitely check it out. And yes, I’m getting the book for myself too. Thanks for the shout-out, Corinne – very much appreciated! There is always room for everyone on the Gratitude Linkup. Thanks, Sheetal. Happy to see you back too. Hope you have a good vacation too! Those squirrels are friendly. I used to have one casually breeze into my office and run over my foot…and I used to think what good friends we’ve become. 🙂 Yes, missed you. And yes, remember our conversation about becoming slaves to all the things that may not really matter in the long run. And yes, life over blogs, right! Hi I am Yvonne, one of Arlee Birds Ambassadors for the A to Z Challenge. I noticed you have signed to take part this year. I do wish you the best of luck, oh! have you a logo to put on your site? it would be advantageous for others to reconise you are taking part. I look forward to visit you during the challenge. And you’re welcome. Laurel posts every Monday. We did, Rajlakshmi. About becoming slaves to our blogs – we’re all guilty of doing that at times! Marigolds are always pretty! In India they’re associated with festivities. Thanks for visiting my blog! Thanks, Amelia. Yes, it’s so easy to fall into the trap of letting our blogs call the shots, isn’t it? Missed you, Corinne, but so glad you had a relaxing break. We all need one of those from time to time. 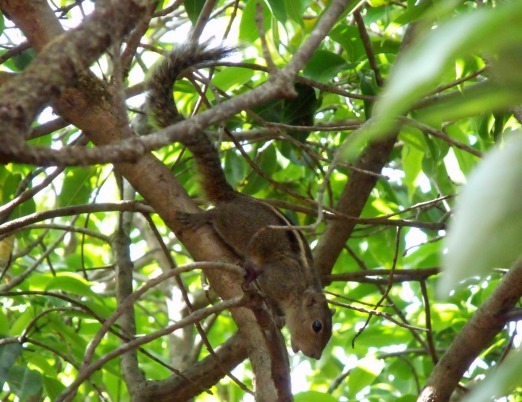 Oh, and loved the photo of the Indian squirrel! Made me think of my Grey in my stories. That squirrel is an adorable chap:) Yes, we missed you, Corinne. But you’re right. We cannot become slaves to our blogs. Thanks for the gentle reminder. He was, Shailaja and he kept ‘talking’ away! Hi Corinne; Sounds like you had a lovely holiday! Thanks so much for talking about the #ReadforAnimals project. The book is a great read and together, we can make a difference for those poor animals who end up in shelters. Happy Holi and Happy St. Patrick’s Day to all those celebrating. Cheers! Oh yes, I did, Debbie. So nice to see that you contributed to the book too – what a fab cause.